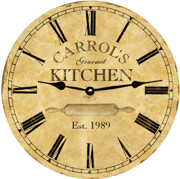 This rustic clock has a neutral, aged, vintage look that is sure to add a rustic feel to any room in the home. 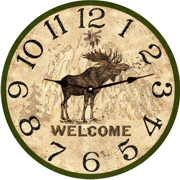 It has large easy read numbers and arrives ready to hang on the wall. 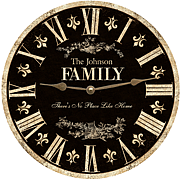 This clock can be personalized with your own wording!! 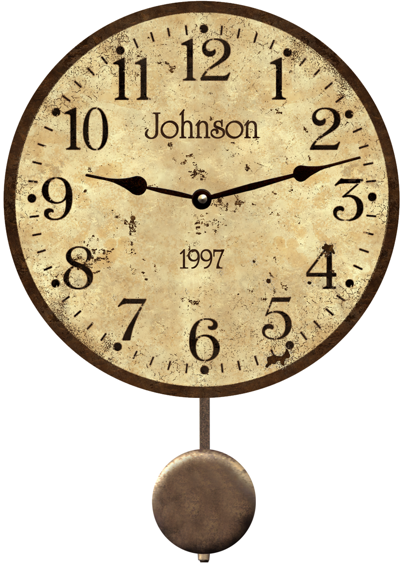 "Rustic Clock" Shown with pendulum option. Available sizes and pricing below. Make sure to use exact spelling.